But lately I’ve been avoiding grains and I gotta tell you I fell a whole lot better. I have way more energy than I did before, my overall digestion is working better, and I’ve knocked off a few pounds a well! So those of you looking to go Paleo, low-carb. keto-diet, or a similar plan that avoids grains are going to love these recipes! 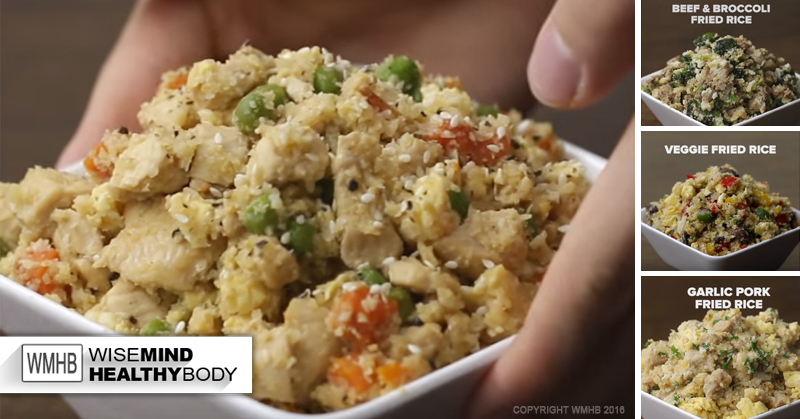 So these fried “rice” recipes are not even rice at all. But once you see how delicious they look (and taste) I doubt you’ll even care! PS- These freeze really well so go ahead and make a big batch so you can have save some away in the freezer for another day!